Two new pieces of art by Mr. Brainwash on the street of broken dreams, Hollywood Blvd. One piece is an Oscar statue dressed up like Banksy, the other is a young boy taking photos while standing on two crates. 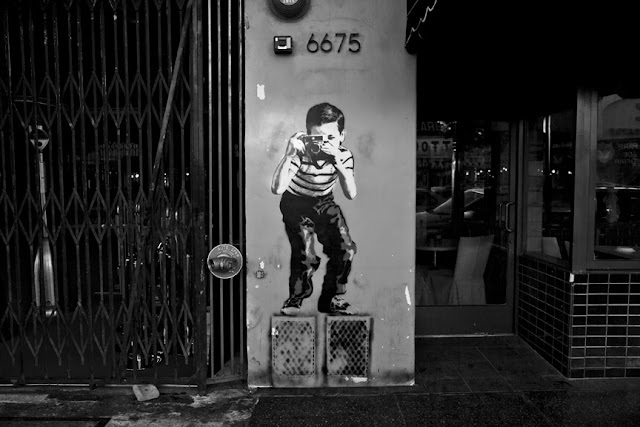 Sadly Banksy did not win the Oscar for his film "Exit Through The Gift Shop." 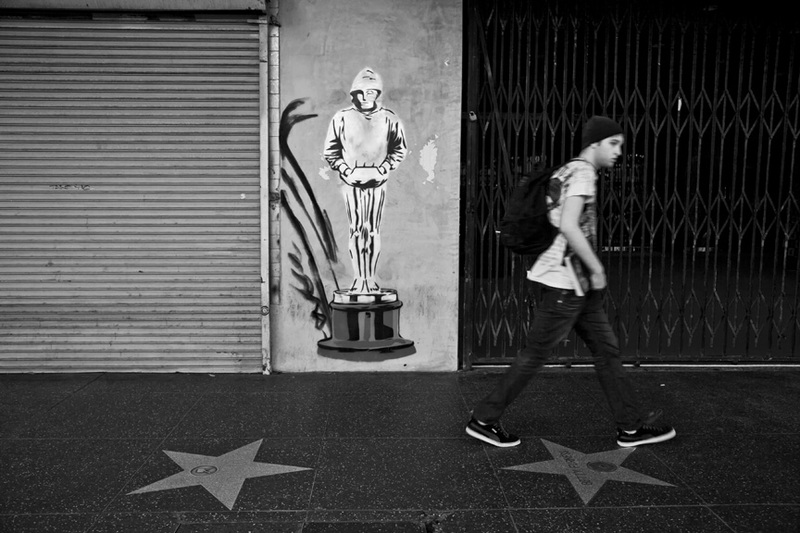 A Banksy Oscar win would have been the only thing that could make the Oscar show palatable. Hollywood can be such a strange cold town sometimes. Mr. Brainwash tribute to Banksy on Hollywood Blvd.